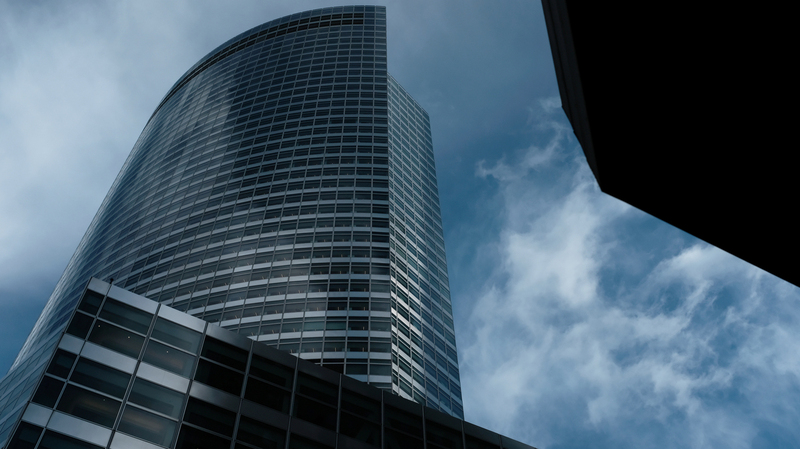 Goldman Sachs Faces Charges In Malaysia Over Massive Corruption Scandal The U.S. bank and two of its former bankers face criminal charges in connection with Malaysia's 1MDB scandal, which involves billions of dollars allegedly stolen from a development fund. The Goldman Sachs headquarters in Manhattan, as shown on Dec. 17. Malaysia has filed criminal charges against Goldman Sachs and two of its former executives on Monday over their alleged role in the ransacking of a multibillion-dollar state investment fund. The U.S. bank Goldman Sachs is facing criminal charges in Malaysia in connection with a massive corruption scheme known as the 1MDB scandal. That scandal — involving billions of dollars allegedly siphoned from the "1MDB" development fund — has already brought down Malaysia's former prime minister. Several of the fund's top administrators in Malaysia have been charged with corruption in both U.S. and Malaysian courts. They deny the allegations. Now, for the first time, Goldman Sachs, which helped the fund's administrators raise some $6.5 billion, faces charges in connection to the probe. Malaysian authorities are seeking billions of dollars in fines, and up to 10 years prison time for each of the four people charged. Two former Goldman Sachs bankers, Tim Leissner and Roger Ng Chong Hwa, are among those facing new charges in Malaysia. Also facing charges are two Malaysians: Jasmine Loo Ai Swan, the fund's former general counsel, and Jho Low, a financier who is believed to have masterminded the large-scale fraud. Leissner, Chong Hwa and Jho Low were also charged with crimes last month by the U.S. Department of Justice. Leissner has pleaded guilty. In a statement, Malaysia's attorney general, Tommy Thomas, says Goldman Sachs knew that the money raised would be "misappropriated and fraudulently diverted" by corrupt Malaysian officials. The bank profited from unusually high fees for its work on the Malaysian fund, and employees and directors "received large bonuses and enhanced career prospects" as a result of their illegal actions, Thomas wrote. "We believe these charges are misdirected, will vigorously defend them and look forward to the opportunity to present our case," Goldman Sachs said in a statement quoted by MarketWatch. Goldman Sachs shares dropped noticeably following news of the charges. Malaysia's former Prime Minister Najib Razak created the state investment fund known as 1Malaysia Development Berhad or 1MDB, in 2009. The fund was supposed to promote global investment in Malaysia. According to court records, billions of dollars were redirected from that fund and used to purchase luxury assets — many in the U.S. — or transferred directly to accounts controlled by Najib, his family or his associates. The fund itself wound up some $11 billion in debt. Multiple countries, including the United States, are investigating the financial misconduct involved in the massive corruption scandal. Leaked documents and journalists' investigations brought the scheme to public attention in 2015. But Najib quashed further examination of the financial dealings of the fund, and he remained in power for three more years. He was finally ousted after losing an election this May — ending six decades of continuous rule by his party. Shortly after Najib lost power, police raided one of his residences and confiscated cash, jewelry and designer handbags. A few months later, Najib was arrested on charges of money laundering, bribery and criminal breach of trust. His wife, Rosmah Mansor, is also facing charges.